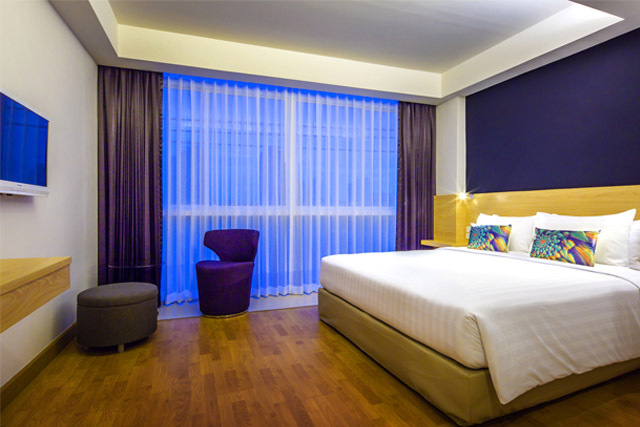 Solo Express Sukhumvit 81 is an exclusive get-a-way that offers a cozy, personal ‘home away from home’ atmosphere. The Hotel has 68 rooms but all the amenities of a much larger establishment. We strive to meet modern international standards and exceed other hotels in personal services offered, while at the same time preserving Solos “Moment of Kindness”. Our professional and friendly staff have many years of experience in providing quality service whether you are visiting for business or pleasure. Carefully selected artworks, in-room safe, 32” LCD flat screen, wooden flooring and a reading chair make’s a cozy retreat for leisure guests. For our business travellers we also offer rooms equipped with working desks and free High Speed Wifi Internet connectivity. Comfortable and convenient for an active lifestyle. 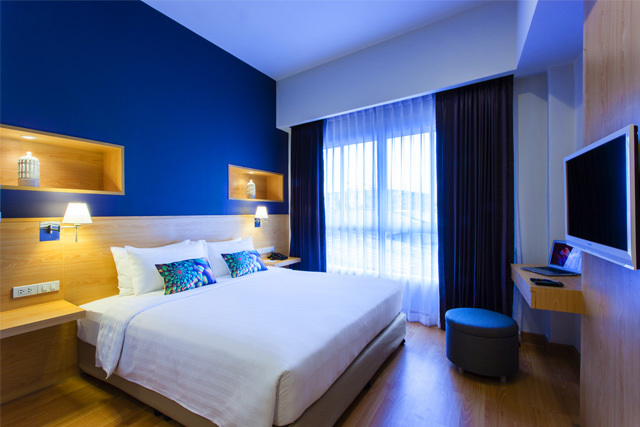 The Solo Superior Rooms at 20 square metres is comfortable and chic. This well-furnished room includes a working desk and fiber optic bedside reading lights. The ensuite bathroom offers a separate toilet and shower that completes the room. Room Size in sq.m. : 20 Sqm. Perfect for a well-seasoned traveller. 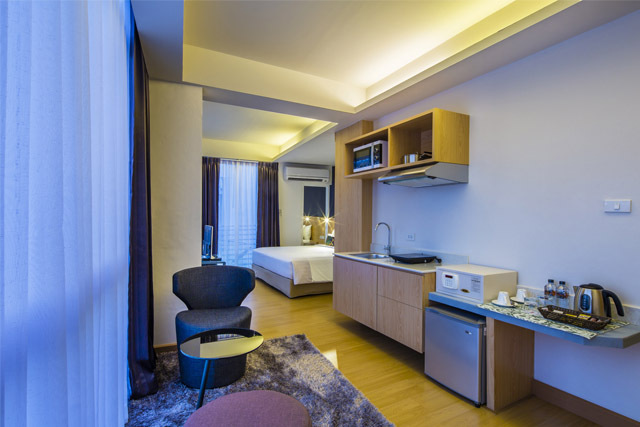 At 27 square metres the Deluxe Rooms offers the same features of the Solo Superior rooms but are larger. There is a larger amenity selection in these wide spaced rooms. Room Size in sq.m. : 27 Sqm. 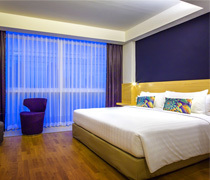 Forming a unique and original feature of Hotel Solo Sukhumvit 81 at 34 square metres. This spacious suite offers great city views for the discerning traveller, featuring specially designed decoration, furnishings and finishing touches which creates its own sense of romance and cultural inspiration. These suites offer separate beds and sitting areas. Room Size in sq.m. : 34 Sqm.